National Network of Women Human Rights Defenders in Mexico – On August 25-26th, as many as 18 women defenders in Guerrero, members of 10 diverse social organizations, advanced in the construction of comprehensive security protocols with a feminist approach. Their aim was to continue working more forcefully in defense of human rights. 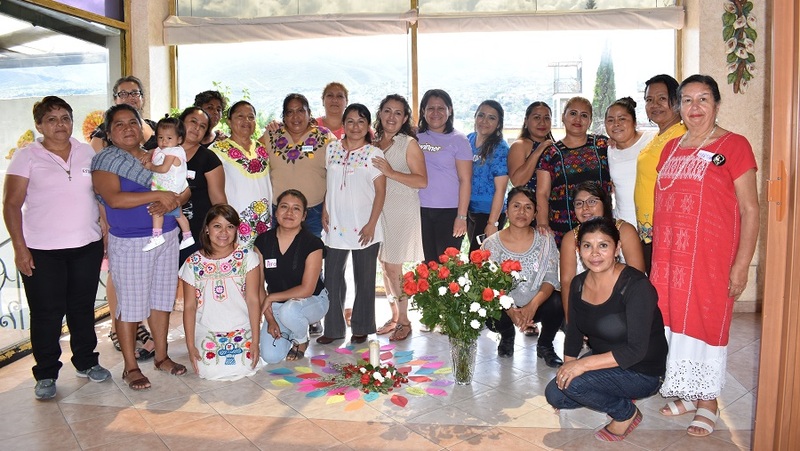 Meeting together in a workshop in the state capital, Chilpancingo, the defenders reflected on the risks involved in being a woman defender in the situation in Guerrero. They agreed on the importance of incorporating instruments of self-care and both physical and digital security into their work, and of continuing to stay in touch to be able to act in a timely fashion in an emergency situation of attacks against women defenders. This occurred in the framework of the project entitled “Secure Women Defenders. Constructing democracy and promoting human rights in Mesoamerica,” sponsored by the Mesoamerican Initiative of Women Human Rights Defenders, which aims to provide women defenders with gender-based comprehensive protection mechanisms. In the case of Mexico, the project consists of four workshops in four states given by the National Network of Women Human Rights Defenders in Mexico. In July and August, these were held in Yucatán, Michoacán, Nuevo León and Guerrero, with the attendance of around a hundred defenders of 46 diverse social and civilian organizations. In addition to the previously mentioned states, participants in the workshops were defenders who came from Campeche, Quintana Roo, Yucatán, Veracruz, Durango and Tamaulipas. The groups were characterized by the variety of human rights defended by the participants. These include the rights of peoples and indigenous women, the right tol and and territory, the rights of women and children to a life free of violence and the free exercise of sexuality and reproduction, the rights of youth, and workers’ rights.